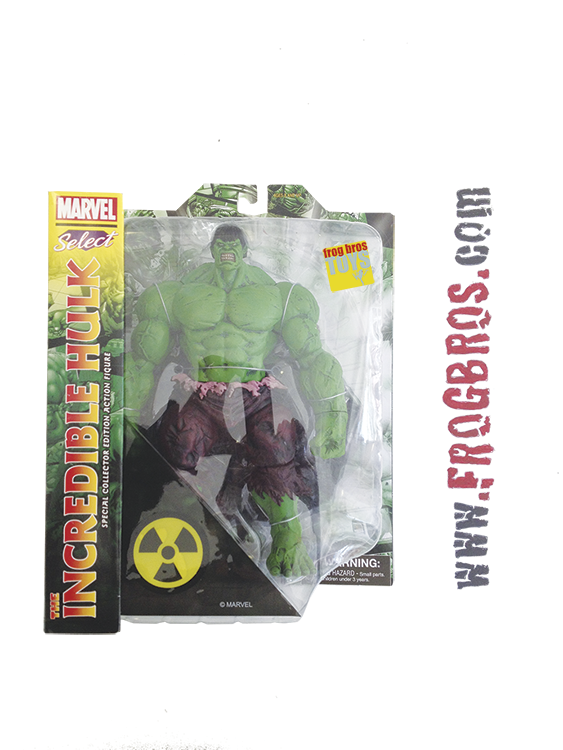 From the pages of the Incredible Hulk comes this Marvel Select action figure featuring the jade giant himself! This massive eight-inch behemoth may have finished his rampage through the Marvel Universe, but that?? ?s just the tip of the iceberg for Bruce Banner! With over 14 points of articulation and a World War Hulk rubble-filled base, not even the Illuminati can stop this legendary hero as he battles a new era of enemies and deals with the fallout of Civil War, World War Hulk and more! Diamond Select produced this line of highly detailed 7-inch scale action figures based upon their most popular Marvel Superheroes. Collect them all, each sold separately.